Hi everyone! This post is part of a Neat & Tangled March 2015 Release. 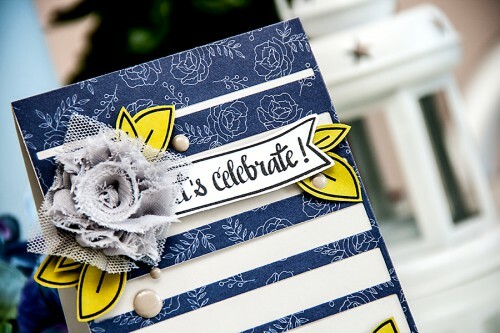 Danielle is introducing a ton of new goodies including stamps, dies and sequins into the store. I was supposed to join the release as usual, but my stamps arrived late, so I’m sitting this one out, I’ll be sharing my projects later. 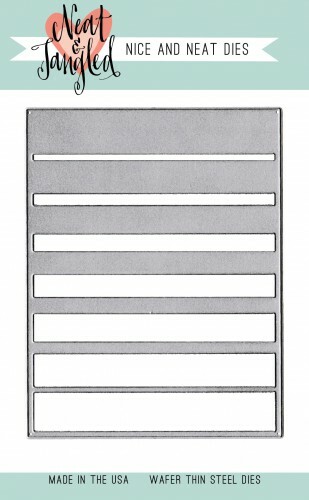 Today, however we are introducing a full card size die called Graduated Stripes Coverplate and I do have a card to share using this product! I die cut the element out of patterned paper and adhered directly onto an A2 top folding card base made out of light grey cardstock. I used a fabric flower from Pink Paislee as one of the main elements and stamped and cut out several leaves out of green cardstock. 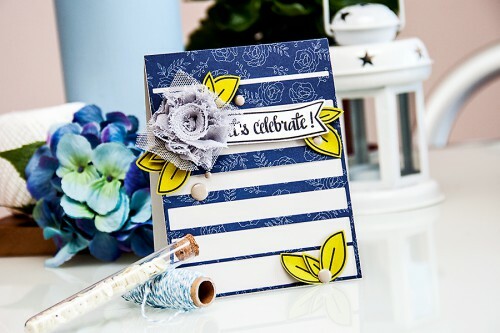 For my sentiment I used the Lets Celebrate one and stamped it inside a matching banner. I also added a few enamel dots to finish this design. There is a giveaway being held on Neat & Tangled Blog, be sure to check it out! Commenting here does not enter you into the giveaway. wonderful…the blue and yellow are awesome together! Gorgeous! 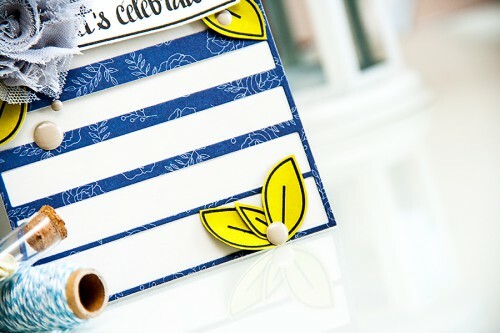 I love the patterned paper and the bright leaves, so pretty! Hey this is really cool Yana!!! 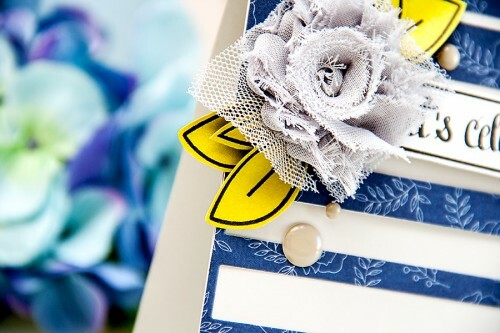 I totally love how you used this die cut!! !